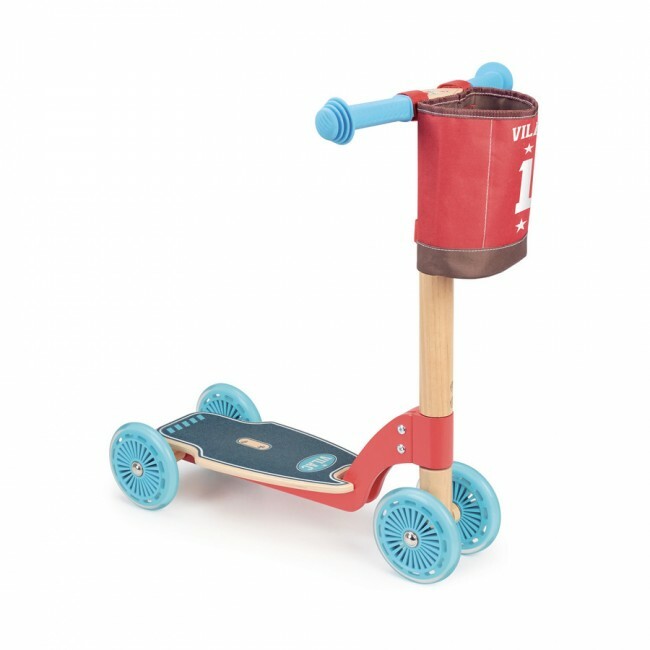 Beautiful scooter with 4 wheels and bag by Vilac. 4 wheels wooden scooter by Vilac, perfect as first scooter for toddler ! 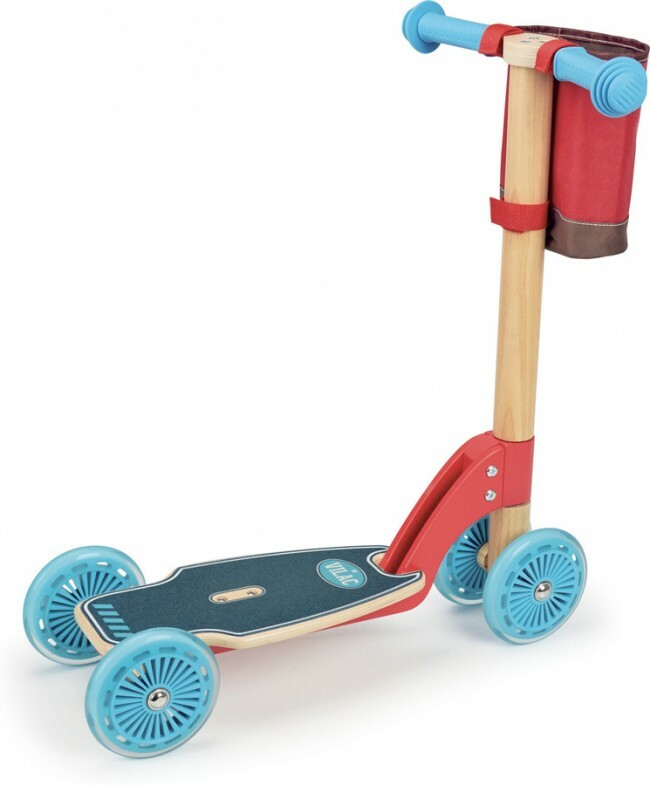 Kids will love to scoot around the house or outdoor with this cool wooden scooter.